Life is all about choices. We make them every day – in all spheres of our lives. But few choices can be more important than the one we make when choosing a good medical scheme. To say this choice is key, is to make an understatement of note. What may initially seem a somewhat daunting task can, in fact, be pretty straightforward. Cutting through the medical jargon, being smart and keeping it simple, are crucial ingredients when making what is, after all, a life-changing choice. KeyHealth Medical Scheme believes that you should only ever require ONE good reason to do something. You can go through all the small print, and find all the reasons offered by medical schemes as to why you should select them, above all the others. But at the end of the day, all you need to do is understand WHY you need a good medical scheme and how to properly evaluate the value proposition on offer. 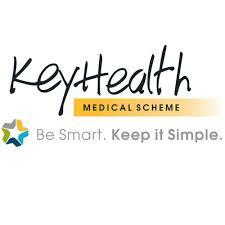 KeyHealth is, in a few words, a simple, accessible, good medical scheme. A few minutes of your time can change the rest of your life. It may at first seem something of a misnomer that a medical scheme can actually save you money. The fact, however, is that it can. Yes, a medical scheme membership is expensive – but so is good medical care. Imagine, if you will, being in a car accident and having to find, say, R300 000 to pay your hospital bill. Not many of us can afford that. So, are medical schemes too expensive? The answer is short and simple: No, they are not. How do medical schemes work? First and foremost, bear in mind that all medical schemes must follow a set of rules. These rules are approved annually by the Council for Medical Schemes and explain clearly the benefits available to members, the corporate governance of the scheme, as well as the rights and responsibilities of both the scheme and the member. It’s not about fine print, but it IS important that you understand the content of your scheme’s rules, as this will be the determining factor in any potential dispute between yourself and the scheme. Did you know that medical schemes do not make a “profit”? Rather, income comes from member contributions, and schemes may also have income as a result of investments. Expenses include claims payments and admin costs. If the income generated is more than the expenses incurred, the scheme will probably allocate the difference to their reserves (of which they need to have a 25% level) or pass this positive result on to the members by way of benefit improvements or lesser contribution increases for the following year. Different medical schemes have different tariffs, and these are no longer regulated in South Africa. Each medical scheme has, therefore, fixed its own rate at which it reimburses service providers. The majority refers to this rate as MST – Medical Scheme Tariff – and it can differ from the rate charged by a service provider. If the rate is less than the charged rate, the member will be liable for the shortfall. As a member, the onus would be on you to check the rate payable with your scheme/service provider prior to obtaining treatment. Schemes usually have a range of benefit options available, from comprehensive cover to basic hospital cover. Prices also differ. The trick here is to have a good understanding of your and your family’s healthcare needs, then select a scheme that best suits your requirements – and your wallet. It is also important to make sure that your option choice is as spot on as possible as most schemes will only allow option changes at the end of each year. There is a limit, and a minimum, to everything. Prescribed Minimum Benefits (PMBs) are a set of legislated, defined benefits to ensure that all medical scheme members have access to certain minimum health services, regardless of the benefit option they have selected on their scheme. The reason behind this is a good one, and without doubt in the best interests of consumers: The aim is to provide people with continuous care to improve their health and wellbeing and to make healthcare more affordable. More information on PMBs is available on the Council for Medical Schemes’ website (https://www.medicalschemes.com). Understand your healthcare needs. Everyone’s medical needs are different. And you need a medical scheme that caters for this – that is as tailor-made as possible to YOUR requirements. If you are young and healthy you will be OK with basic hospital cover as you will be able to pay normal expenses, like going to the GP on the odd occasion, and buying medicine from the pharmacy from your own pocket. But as we get older, our needs change. You might, for instance, have chronic conditions, or a family to take care of, and you might need to consider more comprehensive benefit options to cater for increased healthcare needs. How thick is your wallet? Don’t over extend yourself. Choose a scheme, and a benefit option, that is affordable to you. Remember, this is not a luxury expense – you might have to juggle the budget to make ends meet. Check out the financial soundness of the scheme. A good indicator of this is the scheme’s solvency (also referred to as ‘reserve’) level. All schemes must by law to have at least 25% of members’ annual contributions in reserve to pay claims should anything go wrong. Schemes that don’t meet this requirement might not be sustainable in the long run and will probably have higher contribution rates in order to make up the shortfall. – Underwriting – to join later in your life will mean that you might have to pay more for your cover and that certain conditions/procedures may not be covered. – Prevention is better than cure. A number of schemes offer preventive care/screening benefits. This allows the member/s to become aware of problems that can possibly be prevented or treated immediately, therefore having long-term physical and financial advantages. – Unlocking KeyHealthWords can sometimes mean what people want them to mean. And words, like promises, can sometimes be empty. Do not be drawn in by the hype, catch phrases and promises of benefits than cannot be delivered. Keep it simple… go back to the basics, and let the truth speak for itself. At KeyHealth, we believe in a see-through approach in all we do. Transparency is crucial, and what you see is what you get. We are not into loyalty programmes, bonuses and frivolous add-ons. An old fashioned, authentic, good medical scheme is what we are all about. Our focus is on providing genuine value for your money, and we don’t hide behind realms of fine print. It’s a good medical scheme without the extras and empty promises. KeyHealth is simple. It’s authentic. It’s smart.